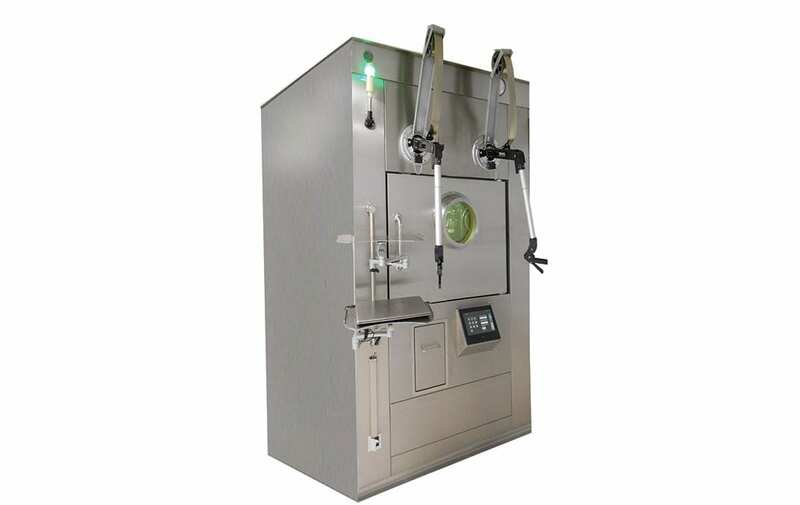 Manipulator Hot Cell | Capintec, Inc.
Can be equipped with a pair of manipulators for handling and processing the high activity isotopes or radiopharmaceuticals under Grade A (class100/ISO 5) environment to comply with GMP regulations. The front face of the hot cell is shielded with either 60 or 75 mm of lead. All other sides have 50, 60, or 75 mm of lead shielding. The Laminar Flow Dispensing Chamber includes HEPA filtration that provides air quality to comply with Grade A (class 100/ISO 5). A pair of manipulator is equipped for handling andprocessing the isotope or radiopharmacy under Grade A condition (optional). 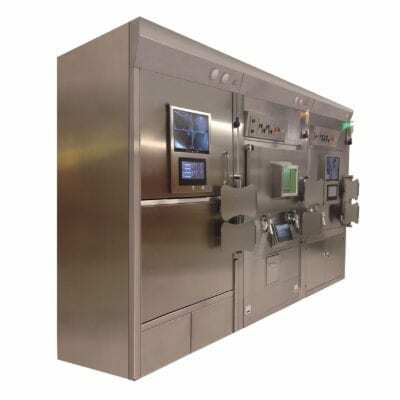 Air ventilated elevator functioning in a class 100 environment enable materials to be transferred into and out of the dispensing area without contamination. 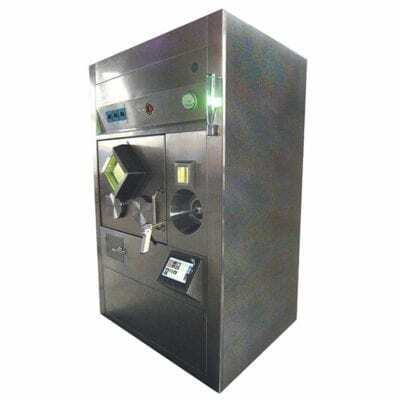 It accommodates dispensers ADG-500, ADG-500S, MVD-20, and APDS.